I have read that honey bees are disappearing across America. Is this true and what has caused it? Yes, many honey bees have disappeared and researchers have not established a firm reason. Because honey bees pollinate many food crops, this problem cannot be overlooked. We know that worker bees leave the hive in search of food and they are not returning. This leaves the other casts of bees to die, including the queen. If you must use pesticides outside your home, treat late in the evening when honey bees are not actively foraging. 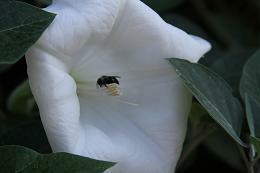 Also use a pesticide that has a short residual life and avoid treating near flowering plants. We never want to kill honey bees. If a hive is inside your home, we will arrange for them to be removed.